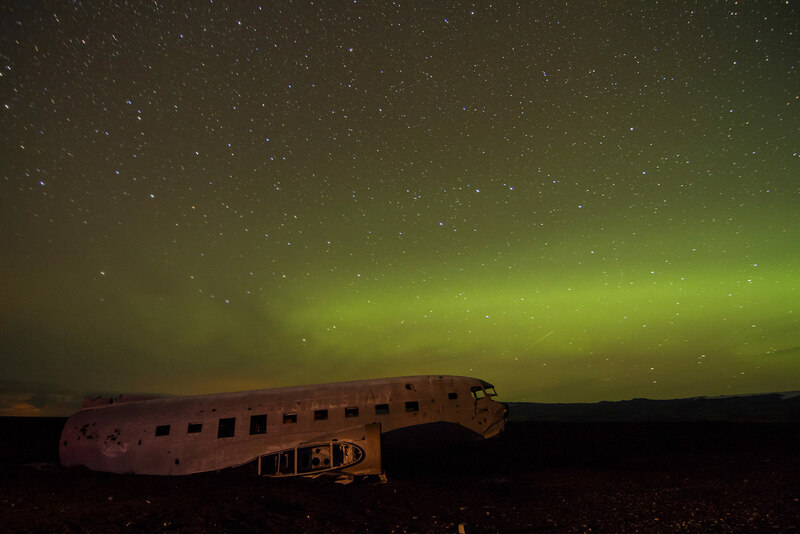 He sent us another image of northern lights taken beside a US Navy DC3 “Dakota” that crashed in Icelandic South Coast in bad weather in 1973, which is located in the Solheimasondur area at the foot of the famous Eyjafjallajökull volcano that erupted in 2010, along with a video he created from his travels to Iceland. Frost, Fire and Northern Lights in Iceland from Jean-Luc Dauvergne on Vimeo. WARNING: Mute sound before playing the above video – Bjork is ‘singing’! Previous PostPrevious What Happens When the Winds of Giant Stars Collide?